Corporal 4421 Victor Starkey, 57th Company, Machine Gun Corps. Victor was born in Notting Hill in 1896, the son of George Starkey and his wife Matilda née Wyatt. The couple raised their family in west London, where George worked as a builders’ foreman and later as a speculative builder on his own account. The family included Matilda’s son Thomas Lovell Wyatt (born 1875, father unknown) and their children: Frank Henry (1886), Harold (1888), Percy (1891), Ada Emily (1893) , Leonard Frederick (1895), Victor (1896), Cifford (1898) and Evelyn Mildred (1900). From Percy onwards the children were all christened in St James Norland church in Notting Hill, where they lived first at 25 St Anne’s Road and then from 1896 at 55 Queen’s Road. Sadly, three of the children died in infancy; Percy in 1892, Ada in 1894 and Leonard in 1895. George’s work as a builders’ foreman was responsible work, but unlikely to result in great riches – however, his career as a ‘speculative builder’ must have been extremely successful; when he died on 16 October 1913 he left an estate worth £18,666 – an enormous sum, many millions in today’s money. Frank Henry, the eldest of the couple’s children went to work in 1891, aged 14, as a news agent’s assistant (at a similar age his elder half-sibling, Thomas, was employed as an ‘errant boy’ according to the 1881 census). It is quite possible that Thomas' example led to Harold also following this line of work and eventually bringing the family to Newbury, where he managed the newsstand at Newbury station for Messrs Wymans & Sons, having previously been employed in a similar post in Plymouth. His mother moved with him, both arriving in Newbury in 1915. Matilda lived in Glendene (53) Gloucester Road and Harold at 5 Winchcombe Terrace, Kings Road (demolished to make way for the current Sainsbury’s car park). By 1915 Victor was 19, no doubt he too had started working life, but no record has been found of this period of his life (he was still at school, aged 14, at the time of the 1911 census). It was in 1915 that he signed on to serve in the Devonshire Regiment - perhaps he too had moved to Plymouth? 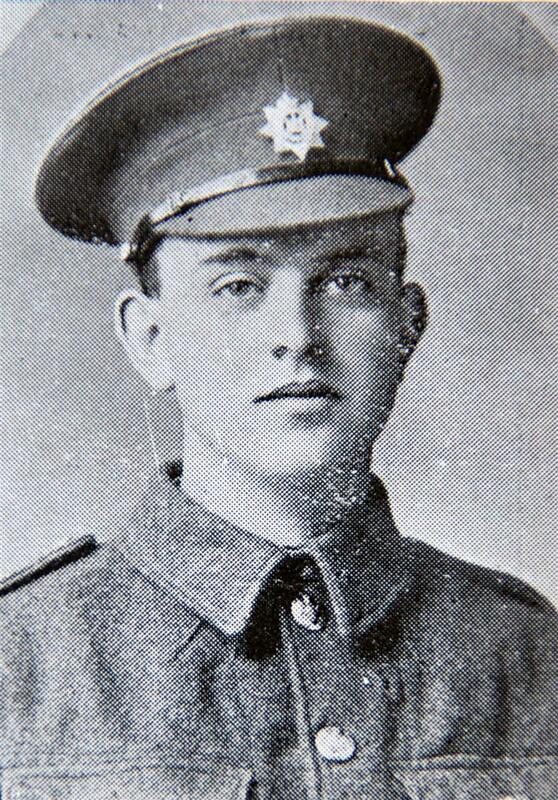 In October 1915 he was transferred to the Machine Gun Corps. This was a totally new unit of the British Army, formed on 14 October 1915 – the first troops transferred were the machine gun companies of existing infantry brigades. However, Victor was still in training and had not yet crossed the Channel; he was probably training as a member of a machine gun team. He was posted to the 57th Company, Machine Gun Corps, which was being trained in Grantham in preparation for the crossing to France. On 14 February 1916 they crossed the Channel and joined up with the 19th (Western) Division as the Machine Gun Company for the 57th Brigade. 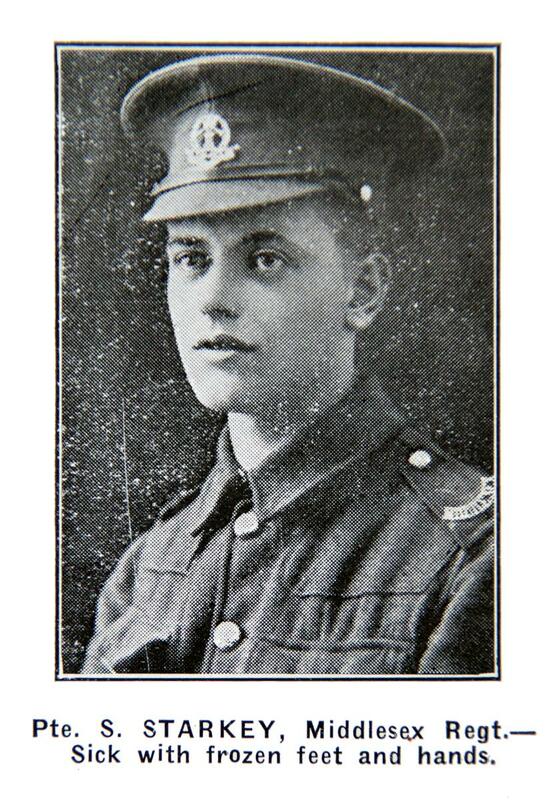 STARKEY – March 14, Corporal V Starkey, 57th Coy, Machine Gun Corps, son of Mrs Starkey of Glendene, Gloucester-road. The War Office has officially announced to Mrs. Starkey, of Gloucester-road, that her son, Corporal V. Starkey, of the 57th Company, Machine Gun Corps, was killed on March 14th. He was brother to Mr. Starkey, of the bookstall at Newbury Station, and formerly was in charge of the bookstall at Plymouth North-road Station. He joined up in July last with the Devons, and went into the Machine Gun Section in October. He left England in February, and was only a very short time in the firing line. His death occurred through an act of daring and gallantry. The gun emplacement was blown away, and the men were unprotected from the Germans. Corpl. Starkey and his sergeant instantly jumped to the front and regardless of the intensity of the enemy’s fire built up a parapet. Unfortunately a shell fell close to them, killing Starkey instantaneously and severely wounding the sergeant. The only consolation his friends can have was that he died the death of a hero. Deaths like this were commonplace, day-to-day occurrences among troops manning frontline trenches in areas that would be described as ‘quiet’. He was buried in grave II.F.5 at Rue-du-Bacquerot No.1 Military Cemetery, Laventie. 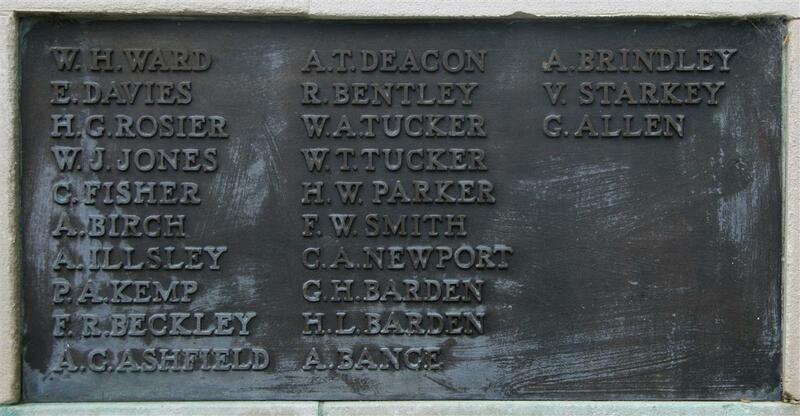 Locally he is remembered on tablet 6 of the Newbury Town War Memorial. The local publication Berkshire and the War, a special periodical full of photographs of local servicemen, published pictures of Victor (above) and his brother 'S Starkey'. However, he had no brother with the initial 'S'. It seems probably that the picture is incorrectly captioned and that the brother depicted is Victor's younger brother, Clifford - who served with the Middlesex Regiment. Their elder brothers Frank and Harold also served their country: Frank with the Royal Berkshire Regiment (reg no 31093), and Harold with the Army Cyclist Corps (12747). Little is known of Frank's service beyond the award of the Victory and British War Medals, which indicate that he saw active service. Harold's service record, or part of it, has survived the fire that destroyed the records of his brothers in WW2, and shows that he was called up in September 1916 and spent 17 months in France and Flanders as a signaller, earning his Corporal's stripes in the process. In fact he did so well as to be sent back to England in July 1918 to attend officer training school. In October he fell victim to the infamous influenza epdidemic that swept through Europe at that time, fortunately he survived after 8 days in hospital. Events in France then overtook him, the signing of the Armistice in November negated the need for new officers, so he was discharged as a corporal in January 1919 to return to his family in Newbury.